During the International Open Access Week, we invite researchers and students at the University to a Library Breakfast on the theme of open access. This year, a lot has happened in the area of open access in Sweden. During this breakfast, research librarian Signe Wulund will, tell us about what happened to the publisher Elsevier, and present alternative routes to locked research publications. If you want to participate, you need to register before October 22nd using this form. 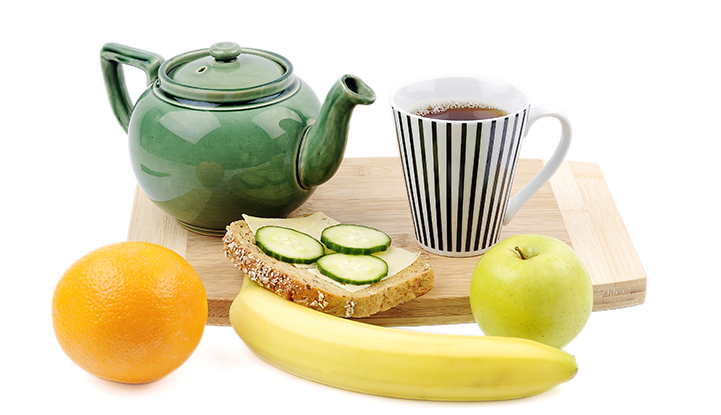 The breakfast consists of coffee / tea / juice, sandwich and fruit and are open to students and staff at the University of Borås. However, there are only 25 seats, and registration is mandatory in order to participate. The library has started a project aiming to increase the number of papers in full text in DiVA. When you publish your research open and accessible, you increase the visibility and spread of it. Therefor the library has launched a project in which we check your already registered papers/ posts in DiVA, in order to know if it is possible to upload them in full text. 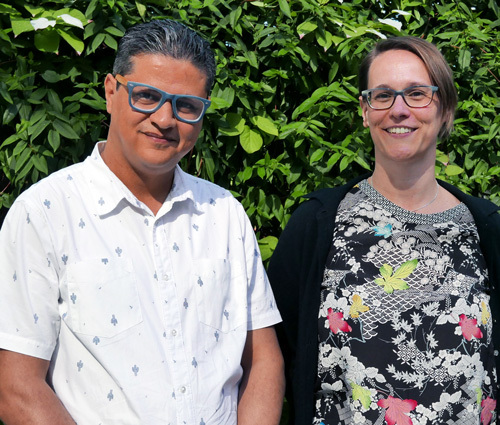 The work is done by Manar Deeb and Signe Wulund. For each researcher who has registered something in DiVA, a search is made for all papers that don’t have a full text uploaded today. The next step is to verify which possibility are available for publishing, and then comes the contact with the researcher by e-mail. The e-mail will contain a list of articles that could be published in full text in DiVA. In this project work we use the SHERPA/ ROMEO database, which is a database that gathers publisher’s copyright and parallel publishing policies. Parallel publishing means to spread your research findings openly through other channels in the same time they are published by a journal which is available only for subscribers. When it comes to parallel publishing, publishers often put up guidelines which must be followed. For example that the article cannot be parallel published until a certain time has elapsed (ie embargo time). Another common rule is that it may not be the publisher’s version (layout) of the article that’s parallel pubshed, instead the version of the article accepted by the publisher for printing, ie the one that has been subjected to a referee review, may be published. The content is the same but the parallel publishing version has different format from the publisher official PDF version. 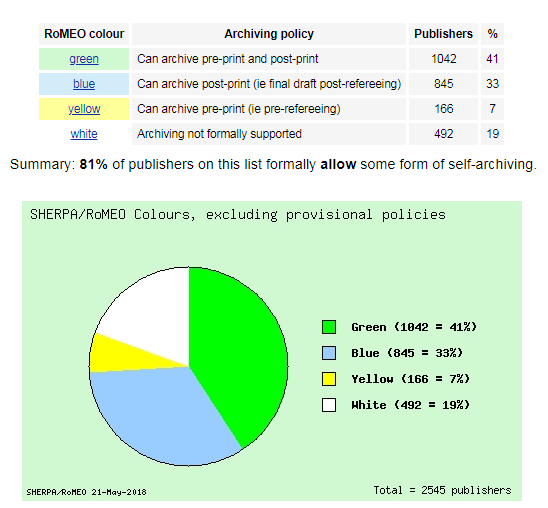 There is a total of 2,545 publishers in SHERPA/ RoMEO, and 81 % of them allow some form of parallel publishing. If you are interested and you want to know clearly which papers you have the right to publish in full text in DiVA, don’t hesitate to contact us. Send an e-mail to manar.deeb@hb.se, to notify that you want us to check your publications as soon as possible. Otherwise, we will contact you when we have reached your name on the alphabetical list we are using to find all researchers in DiVA.